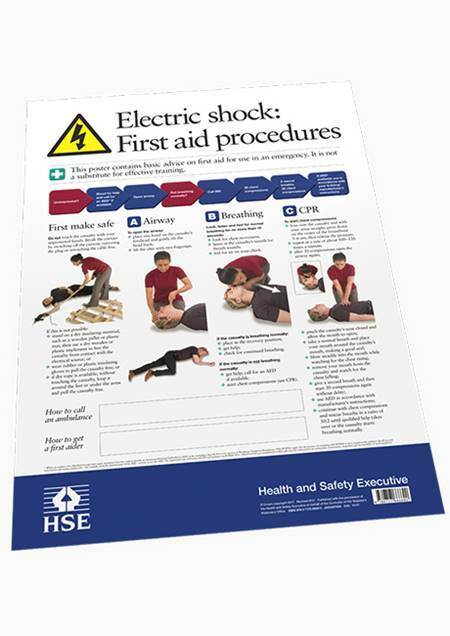 This poster gives basic advice on first-aid procedures if someone has an electric shock at work. It will help employees to understand what to do if an incident should occur. It is aimed at employees working within a number of industries specifically electricity supply, generation, transmission and utilisation, electrical testing and electrical applications.